Erin Blasco of the American History Museum takes us behind the scenes as Smithsonian curators help the FBI solve a real-life crime mystery. Dawn Wallace and Richard Barden stood in the museum’s objects conservation lab over two shoes. Red. Sequin-covered. Small heels. Petite in size. 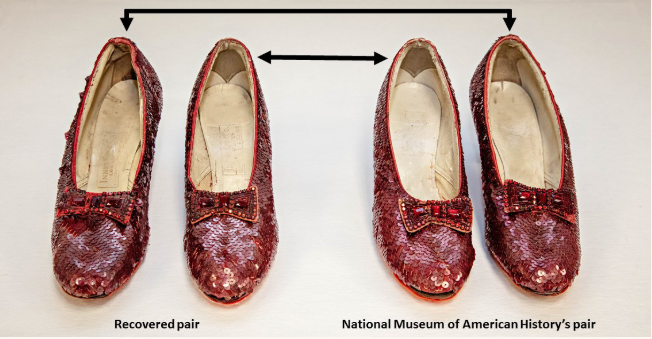 Wallace, an objects conservator, had recently spent more than 200 hours examining the museum’s long-cherished pair of Ruby Slippers, worn by Judy Garland while filming the iconic 1939 movie The Wizard of Oz. Barden, our chief conservator, had spent decades with the museum’s collections, including the sparkling shoes that will be returning to view in a new showcase display opening October 19, 2018. Those shoes, now fully conserved thanks to the support of 6,000 Kickstarter backers who funded their preservation, were safely stored elsewhere in the museum. The shoes that sat before Wallace and Barden had been delivered by FBI agents for examination, and could be the key to a 13-year-old mystery. “Wow, I think these are the real thing,” Wallace thought. Of the several pairs of shoes used during filming, only four are known to have survived. 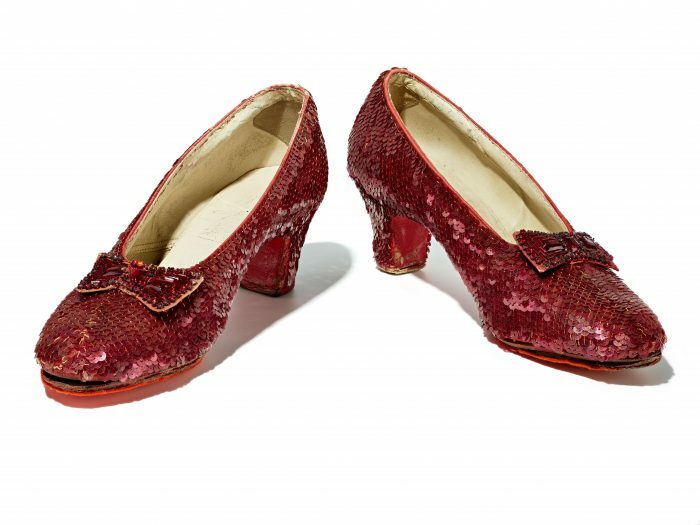 In addition to our own pair of Ruby Slippers, one pair is in the hands of a private collector, one pair is on display at the Academy of Motion Picture Arts and Sciences museum, and one pair of slippers disappearedolen in 2005 while on loan to the Judy Garland Museum in Minnesota. At the FBI’s request, Wallace and Barden were looking for signs that the recovered pair might be the missing shoes. Was this pair a masterful replica, or would evidence suggest that these shoes were worn by Garland as she worked on the film? 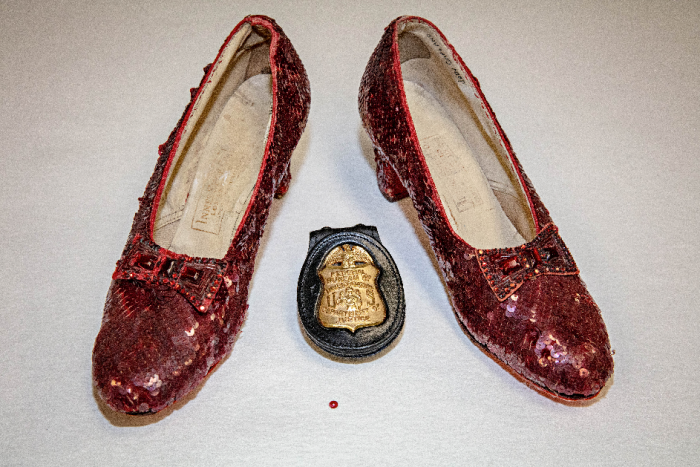 Wallace and her colleagues would spend nearly two days poring over every detail to assist the FBI in learning as much as possible about the glistening red shoes the agents had brought to the museum. National Museum of American History staff do not authenticate objects, but often share knowledge when asked—and, of course, relish “the opportunity to learn more about objects that are so important to American history,” as Entertainment Curator Ryan Lintelman put it. 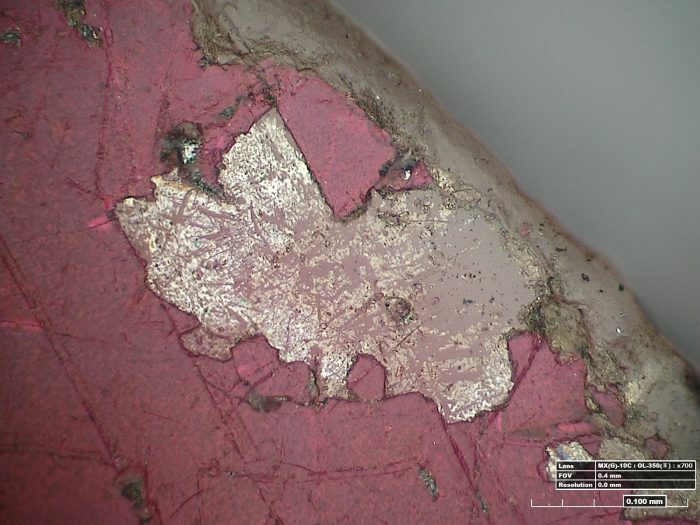 Wallace and Barden were eager to use their expertise to determine if the recovered pair’s materials, construction, and condition were consistent with the museum’s pair. 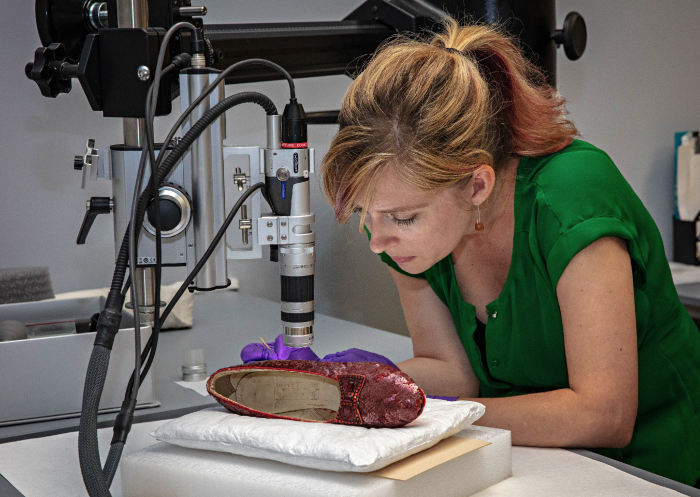 Objects Conservator Dawn Wallace examines the recovered pair of Ruby Slippers. Chief Conservator Richard Barden and Curator Ryan Lintelman also spent hours looking at the shoes in detail. Wallace checked every inch of the shoes. Her hours with our Ruby Slippers made her uniquely qualified to spot any minute clues the shoes may offer. The conservation work was a “sequin by sequin sequence,” she likes to joke. During that process, she cleaned each sequin, realigning many to expose the silver side with more reflectance and stabilizing the shoes so that they can be on display for years to come. Investigating the materials and their condition, Wallace noticed many consistencies with the museum’s pair. But it was a clear glass bead on the bow of the left shoe that, for her, confirmed her initial reaction. 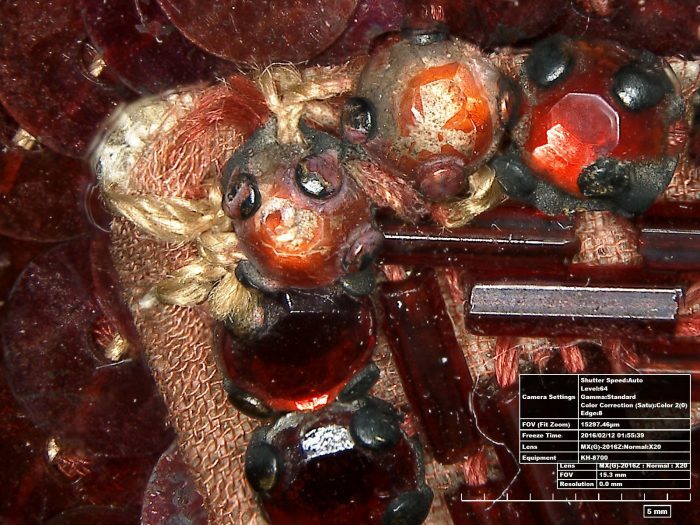 Wallace had also spotted clear glass beads painted red while peering through a microscope during conservation work on the museum’s pair. 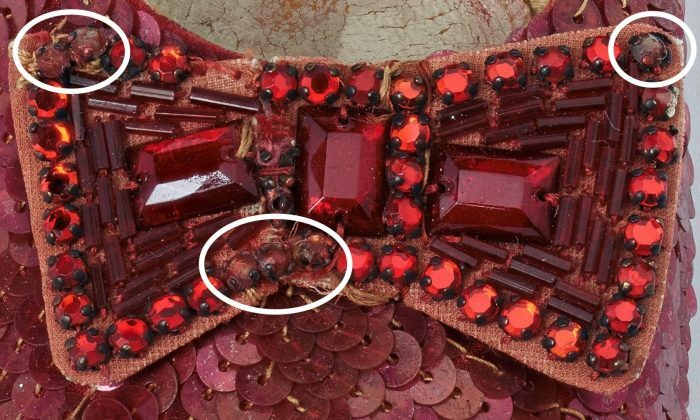 Analysis and interviews with Hollywood costumers indicated that the painted-bead replacements were likely repairs made on-set during filming. Sequins aren’t so simple. This diagram shows the different layers present in each sequin of the Ruby Slippers. 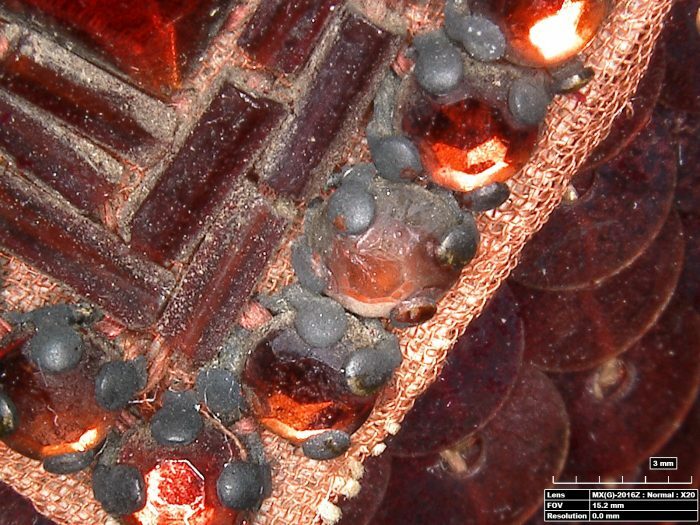 For Barden, the “aha!” moment came while examining the level of deterioration of the recovered pair’s sequins. The physical and light damage is consistent with the museum’s pair. To replicate this type of aging, one would have to have specialized knowledge. “Because of our conservation work on the Ruby Slippers, we created basically a library of information about the shoes,” Wallace said. “And we were able to apply that to the pair the FBI brought here and gain more information.” The MCI scientists, with Wallace and Barden, plan to publish about the project in the journal Heritage Science this fall and present their findings at conferences to help other museum professionals care for objects like these. The clear glass beads, painted red, offered another surprising insight that, unexpectedly, linked the museum’s pair to the recovered pair. The museum’s pair is not identical. The heel caps, bows, width, and overall shape do not match; the shoes were brought together from two separate sets. 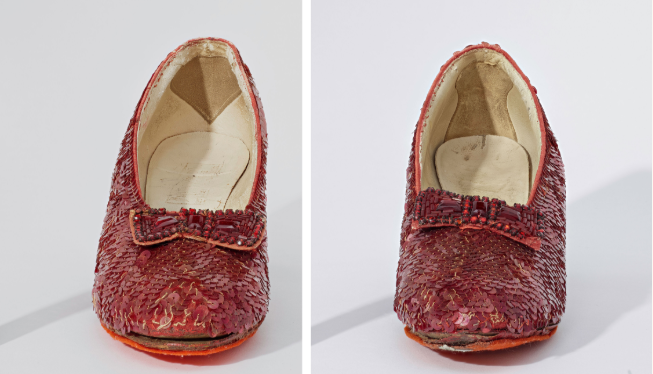 But in examining the recovered shoes, conservators found the left to the museum’s right and the right to the museum’s left. When temporarily reunited, the four shoes created two matching pairs. It’s possible the mix-up happened during preparation for the 1970 auction of items in MGM’s costume closets. That’s when the museum’s pair was purchased—parting ways from other pairs produced for the film—and donated to the museum anonymously in 1979. Both our pair and the recovered pair have felt on the bottom for dance sequences. The Ruby Slippers used in close-ups would have been felt-free. How do the shoes make matching pairs? The recovered left shoe goes with our right shoe and vice versa. We were honored to be able to share our knowledge, play a role in the recovery of lost history, and continue learning about The Wizard of Oz history. We look forward to our pair of Ruby Slippers returning to display on October 19, 2018. Erin Blasco manages the American History Museum’s social media and blog, O Say Can You See, where this post originally appeared. She was thrilled to find out that the museum’s Keep Them Ruby project had resulted in research that was of service to an FBI investigation and would like to thank the Kickstarter backers for being part of this incredible journey. Anyone with information regarding this issue is encouraged to contact the FBI.